ZTE recently announced release of the ZTE Open Firefox OS phone, a device aimed at developers and early adopters. In this post we cover the basic details of connecting and configuring your desktop environment to push Apps to the ZTE Open from the Firefox OS Simulator. 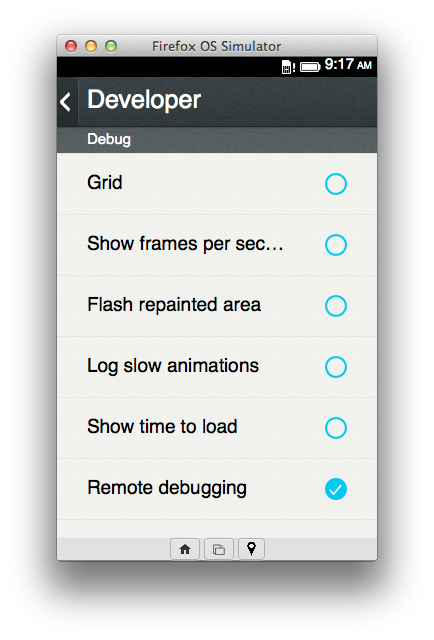 Before pushing or debugging an App on the ZTE Open you must first enable remote debugging on the phone. This can be done by selecting Device information->More Information->Developer->Remote debugging within the Settings Application. 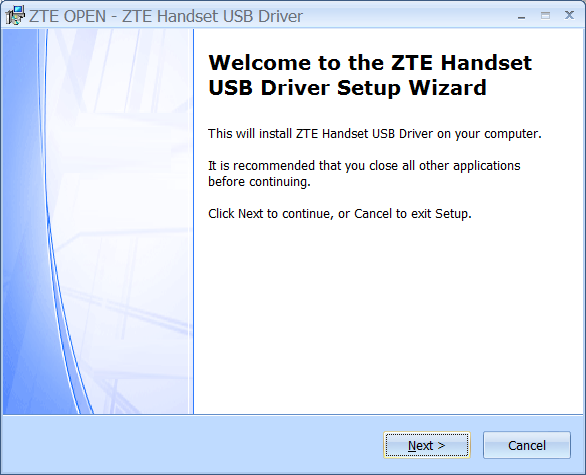 To connect the Simulator to the ZTE Open on Windows platforms requires a specific USB driver. ZTE has made available a self-contained executable that will install the proper driver. This executable can be found on the ZTE site. Choose the proper link and select downloads. The driver will be labeled DRV_PKG_ZTE_VERSION. To install these drivers, first download and extract the Zip file to a known location on your Windows system. Next connect the phone to your machine using the provided USB cable. Run the “ZTE_Handset_USB_Driver.exe” executable within the extracted zip file. Step through the setup wizard to install the driver. Once you have installed the driver, you should be able to push an App to the device. You can verify that driver is installed by checking the device manager. 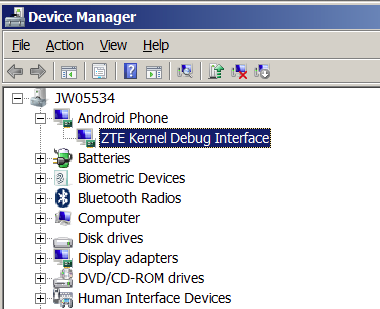 The ZTE phone will be listed under Android Phone as ZTE Kernel Debug Interface. 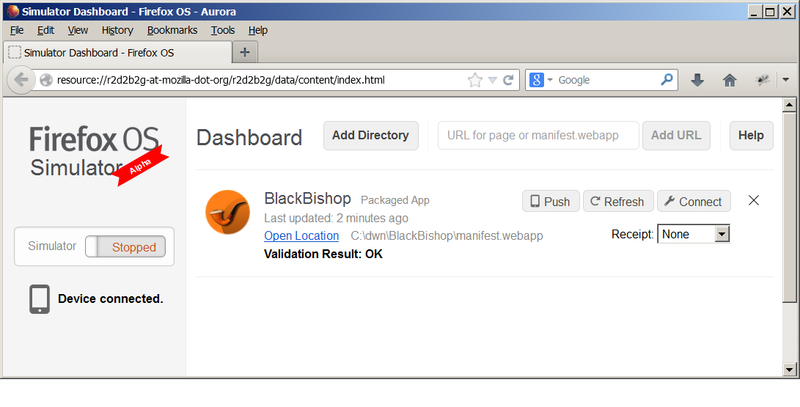 Launch the Firefox OS Simulator and the Dashboard should now contain a Push button and a Device connected message. You should now be able to add your Firefox OS App to the Simulator and then Push it to the phone. If the push to device button does not show up in the Simulator Dashboard please see this bug. If you are running the Simulator on a Mac, no additional configuration is required to enable push to device. For general information on using the Simulator to push and debug an App, make sure to take a look at the “Firefox OS Simulator” documentation. Jason Weathersby is a Technical Evangelist for Mozilla, evangelizing Firefox OS. He is also a committer on the BIRT project at the Eclipse Foundation, and has co-authored several books on BIRT integration. He is a proponent of HTML5, Open Source and all things related to web-based gaming. 40 years ago they said the same thing about CD players. ZTE has already shipped quite a few of the ZTE Open phones and there will be more available soon. This not the most productive comment you could have done. Talking about devices, I am in front of four different Firefox OS devices. Two are already on the market. Devices are coming along with country launches. Who cares? All those people on developing markets that can’t afford a good smartphone care a lot about initiatives like this. Great info guys, I got my ZTE Open last week and will be looking at developing a few apps over the weekend. Christian, did you really just write a comment saying there’s no phone, on an article that indicates how to push apps to a phone? Something must be terribly wrong with you. I apppreciate the info as I’m looking forward to get my “available phone” ;) on Monday. I have developed an App to import all my 596 contatcs from my WM 6.5 phone through PIMBackup. Developing for this device is real fun. Great job, guys.. The official seller on eBay is now charging over twice the price that was listed in all the news I read and geeksphone in Spain pushed the Peak+ back at least a month. there is no way would consider paying over 100 bucks for an severley under powered ZTE 512 mb ram…. get out of town. (Nexus 4’s are going for 250 right now) The seller I spoke with from China said they were indeed the official seller on ebay “zte_usa.” How does “zte_usa” keep coming up with more and more of these (to sell at near $200.00 a piece) phones if they have sold out of them? In a related story, Samsung and Intel are offering over 4 million dollars in cash prizes for Tizen app challenge. There really is no devices that run Tizen, except a Nexus 7 ROM. Chris: I approved this comment for now for the sake of being open here, but I would remind you that this rant has nothing to do with the topic at hand. This is a technical post explaining to those who have a device how to handle it. Your comment shows that you have not at all looked into what the ZTE Open is about and which markets it targets. The USA is *not* the target market of Firefox OS, the markets where you can not readily get iOS or High-End Android devices are. This is about bringing mobile web connectivity to those who can not afford it now, or who aren’t even covered. In short: the ZTE Open is not for you, it is there to replace feature phones. It is for you, however if you want to test the experience for a brand new mobile web user in the new markets Firefox OS targets (something you can not do with a Nexus 4, the same way you can’t test the experience of a Nexus 7 by buying an iPad Mini). We have no control over the hardware pricing or distribution, so your beef is with the seller on ebay, not us and not the people finding information they need here. The Tizen comment and Samsung’s prizes for the Tizen app challenge are not related either (disclosure: I am speaking at the Samsung Devconf about similarities and differences in the approach). Again, this here is about *how to push an app to the ZTE Open*. Anything else is off topic. You won’t go to a “how to install XCode” post and rant about iPhones being more expensive in the UK than in the US either, unless there really is something wrong with you. I think a lot of devs in America feel the same way about being able to make pure HTML 5 apps as I do. I think we’re all burned out on having to learn new languages and device quirks every time a new OS comes out. I’m excited about getting my hands on a Firefox OS device so I can bring good apps, good software, and useful things to the whole world. My expectations get crushed a little because of the price on eBay. I was in total agreement with your premise, yes Firefox is meant to replace a feature phone. However, lamenting the fact that while that the official seller was still selling ZTE Open devices in the US, after the claim of being sold out was issued. The selling price was roughly 2.5 to 3.5 times the price of $79.99 US. That put the price between $199.99 and $250.00 US dollars. My comparison to a $250.00 Nexus 4 becomes valid if the Open is being sold for the same price. Google lowered N4 to 249.00 US. At that price the Open IS in contention with a top of the line smartphone. Given the choice between the two at the same price of 250.00 US dollars which one would consumers pick if all things were equal, availability, cost, etc.? Sorry for any misunderstandings or miscommunications, I wrote it at 3:30 a.m. while waiting on a flight. There is still a misconception that the ZTE Open in the US is meant to be an end user phone. It isn’t as of yet. This is an enthusiast/developer phone to buy on ebay to try the new system out. If and when Firefox OS would come to the US for end users, then it’d be with a partner for a much lower price than the ones you mentioned. $250 for the N4 with the specs that it has is simply ridiculous and I am sure Google does make a loss on that, but they want to beat the iPhone. Not everybody can do that. Can’t wait to see the potential of this. I’ve been hankering after a phone with a simple development interface for a long time. Android and iPhone are both a pain the backside. Why is it so hard to to create a rapid development tool for mobiles? Visual Studio is pretty good for Windows Phone but it’s still fiddly and not many people seem to have Windows Mobile. How can i push apps to a Xperia Arc with Firefox OS from xda-developers? I have not tried it. What OS are you using? I think the code is 0fce. That was really useful. I had a chance to “play” with a firefox OS phone on a local event and i was pleased!